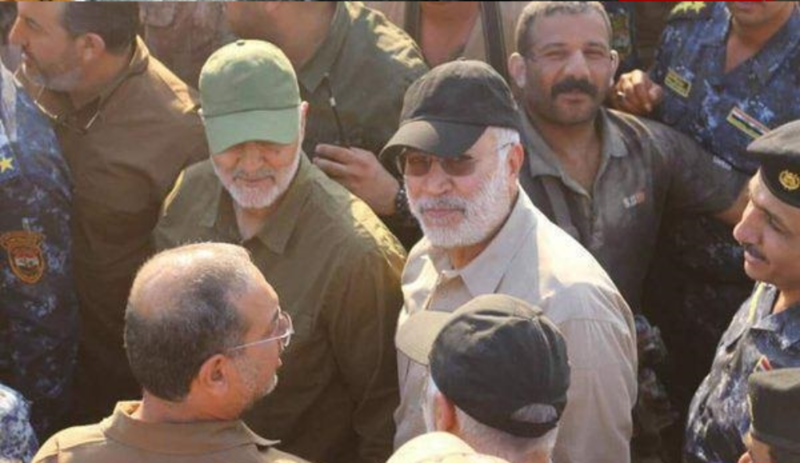 Qods Forces Commander Qassem Soleimani (green hat) and Popular Mobilization Forces operational commander Abu Mahdi al Muhandis (black hat). The Iraqi government has officially incorporated the Iranian-supported Popular Mobilization Forces (PMF) as an “independent military formation” in Iraq’s security forces. The move, which was approved by Iraq’s prime minister in February, is disturbing as it establishes the PMF as a parallel security organization akin to Iran’s Islamic Revolutionary Guards Corps (IRGC). Influential PMF commanders have openly expressed their affinity for Iran’s supreme leader and the head of IRGC’s Qods Force. The establishment of the Popular Mobilization Forces, or Hashid al Shaabi, as a permanent and separate security entity was codified by Prime Minister Haidar al Abadi on Feb. 22, 2016, according to an official government document published by Al Arabiya. The existence of the document, known as Office Order 91, was disclosed by Ahmed al Asadi, the spokesman for the PMF. The PMF was established in June 2014 after the Iraqi military and police forces were overwhelmed by the Islamic State in northern, central, and western Iraq. Clerics put out the call for Iraq to support the collapsing security forces. Established militias that are supported by Iran and have openly fought US and British troops during the occupation answered the call and dominate the PMF. They were organized under the aegis of the PMF. 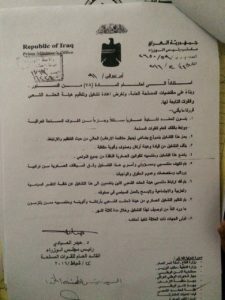 Letter signed by Iraqi Prime Minister Abadi that codifies the Popular Mobilization Forces as an official and separate entity in Iraq’s security forces. Image from Al Arabiya. According to Office Order 91, the PMF “will be an independent military formation and a part of the Iraqi armed forces, and linked to the general commander of the armed forces.” The commander of Iraq’s armed forces is its prime minister. The PMF “will act in a manner comparable to the current (counterterrorism apparatus), in terms of organization and affiliation.” Iraq’s counterterrorism force, known as the Golden Division, skirts the military chain of command and reports directly to Iraq’s prime minister. 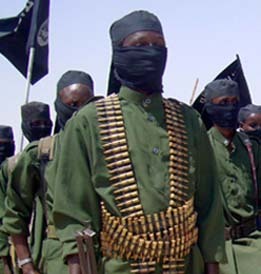 The Golden Division is know to run secret prisons and has conducted extrajudicial killings. 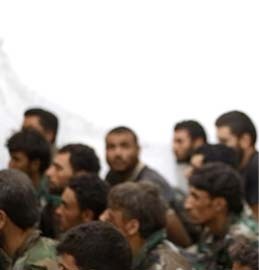 Order 91 notes that the new official “military formation” will be manned by the PMF’s “staff, brigades, and members.” This means that individuals such as Abu Mahdi al Muhandis, who serves as the operations leader of the PMF, will retain a top leadership position with the approval of the government. 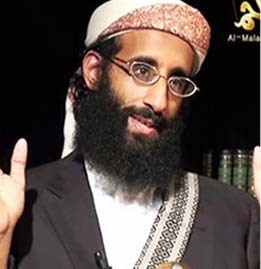 Muhandis was listed by the US government as a specially designated global terrorist in July 2009 and was described as “an advisor to” Qods Force commander Qassem Soleimani. He also leads the Hezbollah Brigades, a US-designated Foreign Terrorist Organization that is one of several Iranian-backed militias that operates in Iraq. While Order 91 claims that the PMF “will be cut from all political, party and social frameworks, and political work will be prohibited in its ranks,” this is highly unlikely given the nature of the militias that are included. For instance, Muqtada al Sadr’s so-called “Peace Brigades” is an armed militia of his political party. The same is true for militias such as the Badr Brigades. The Iranian-backed Iraqi militias will retain and expand the network infrastructure that has been organized and funded by the IRGC since the fall of Saddam in 2003. The PMF claims that it is not a sectarian organization, but its brigades have been accused of razing Sunni towns and have even threatened Christians in Baghdad. The Iraqi Prime Minister’s order will establish Iraq’s own IRGC, institutionalizing Tehran’s influence in the country. Although not all PMF forces answer to Tehran and there are units that follow Ayatollah Ali Sistani, the network backed by IRGC has the most sizable, experienced, strongest, organized, trained, and funded militias. The experiences of the IRGC in Iran and and Hezbollah in Lebanon serve as precedents for how this Iraqi network can expand its influence. The IRGC was established by Ayatollah Ruhollah Khomeini, founder of the Islamic Republic, in the early days of the 1979 Islamic Revolution as a conglomeration of pro-Khomeini militias to consolidate clerical rule in Iran based on Khomeini’s theory of the velayat-e faghih (guardianship of the jurisprudence). Khomeini envisioned exporting the revolution and rallying the Islamic world under its banner, though the message of a Persian Shia cleric did not appeal to Sunni Arabs. The IRGC’s purpose and identity is based upon two principles: absolute obedience to the Leader of the Revolution, also known as the Supreme Leader, and defending Khomeini’s revolution. The IRGC teaches and reinforces these ideological principles among its proxies. Proxy building aims to materialize the Guard’s mission of exporting the revolution abroad. The Qods Force and its Commander Major General Qassem Soleimani are tasked with executing this strategy. The IRGC has functioned in parallel to the regular Iranian Army, distrusted by the clerics due to its ties to the ancien regime. By the end of the Iran-Iraq War, the Guard evolved from a military organization into a classic military organization, though it still follows asymmetric and “revolutionary” warfare. The IRGC interprets the mission to defend the revolution broadly: it is active beyond the military and security realm and has significant presence in politics and economy. The Guard is now the most powerful institution in Iran. IRGC has successfully replicated itself in Lebanon, helping to establish Hezbollah in the 1980’s. This is the crown jewel of the Guard’s proxy model in Arab lands. Hezbollah has become the dominant force in Lebanon. Hezbollah openly swears allegiance to Iranian Supreme Leader Ayatollah Ali Khamenei. So do the IRGC-backed Iraqi Shia militia leaders, who have been carefully vetted by Guard commanders. The IRGC, Hezbollah, and Iraqi Shia militias stoke instability and sectarian tension in the Middle East to advance Tehran’s interests. Their violent activities feed into Sunni jihadist propaganda and recruitment, creating a vicious cycle of sectarianism in the Middle East. They perpetuate a state of regional chaos while projecting themselves as the only forces capable of defending the faithful against external threats. These groups tighten their grip on their communities through force, intimidation, and politically outmaneuvering their opponents. Members of society that oppose their radical ideology defer to their authority for security. Propaganda is not intended to necessarily convince most of the population, just enough to provide a base of committed recruits. Expanding organizational capabilities help put down internal rebellion, as the IRGC brutally crushed the 2009 post-election protests in Iran. A dedicated minority with monopoly on violence can rule the majority for decades. The IRGC’s proxy model has succeeded in establishing and consolidating itself during wars and instability. Hezbollah gained prestige in the Lebanese Shia community by fighting Israel and forcing it to withdraw from south Lebanon, and now says it is the only group that is keeping jihadists at bay in Syria. Iraqi Shia militias similarly fought against the US occupation and al Qaeda, and are now fighting against the Islamic State, which has committed numerous atrocities against Shias. The Iraqi and Lebanese Shia minorities have been historically oppressed, and these experiences have been seared into the communities’ collective consciousness. Militias give the communities a sense of empowerment. Pro-IRGC propaganda is crystallized in the “Axis of Resistance,” the alliance of state and non-state actors led by Tehran against the US and its regional allies including Israel and Saudi Arabia. The goal is to “resist” and overturn the status quo in the Middle East. 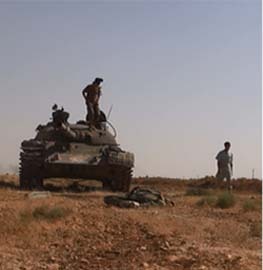 The axis is primarily comprised by Iran, Syria, Lebanese Hezbollah, Iraqi Shia militias. It has expanded to include Afghan and Pakistani Shia militias and supports the Houthi movement in Yemen. The formation of Iraqi IRGC bolsters the axis led by the Islamic Republic of Iran. And based upon the requirements of public interests, and for the purpose of restructuring and reorganizing the Hashid al Shaabi organization and the forces belonging to it. 1. 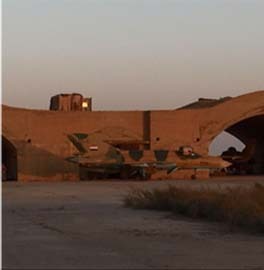 The Hashid al Shaabi will be an independent military formation and a part of the Iraqi armed forces, and linked to the general commander of the armed forces. 2. This formation will act in a manner comparable to the current (counterterrorism apparatus), in terms of organization and affiliation. 3. The formation will be comprised of a leadership, a General Staff , and fighting formations and brigades. 4. This formation and its members will be subject to military regulations [laws] that issue forth from all entities. 5. The assignment of the members, officials and commanders of this formation will be done according to military procedures, concerning its hierarchy, salaries, provisions, and its rights and duties general. 6. The connection of the members of the Hashid al Shaabi organization will be cut from all political, party and social frameworks, and political work will be prohibited in its ranks. 7. The military formation will be formed from the organization of the Hashid al Shaabi, from among its staff, brigades, and members who will adhere to what has been set forth in the description of this organization, and within three months. 8. The concerned parties/agencies will be tasked with carrying out its provisions. David Daoud contributed to this article. This is just the tip of the iceberg created by Bush & Blair with the Iraq invasion. No one, except for the Iranians and Al qaeeda wanted this war. 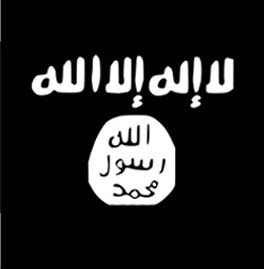 The Middle East will never be the same, and it will slowly eat at the entails of the West.